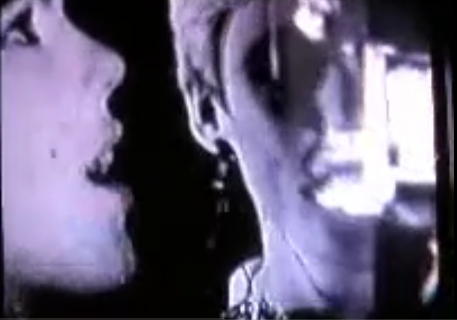 Andy Warhol’s early film and video works cover an enormous range of projects and subjects. Some, such as Chelsea Girls and Sleep, became famous in their own time, while others, such as the works in this exhibition, are only now emerging for public view. Outer and Inner Space is a double-screen projection that includes within it what is believed to be the first-ever video made by an artist. Screen Tests, of which we will show approximately twenty (out of 500 shot), are short, and very intimate, silent film portraits of people who passed through the Factory in the 1960s. A catalogue with text commentary by Callie Angell, Geralyn Huxley and Bill Jeffries. 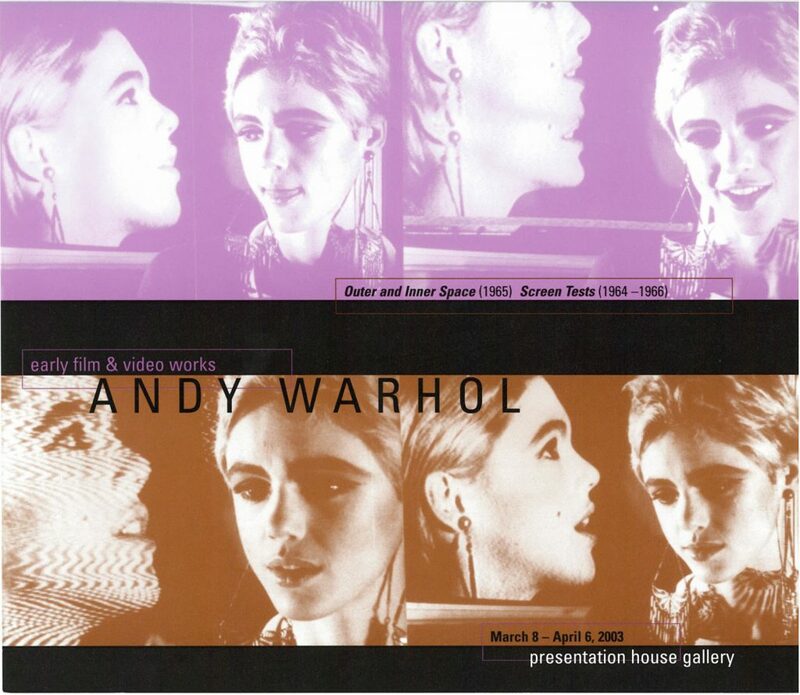 Thursday March 27, 7:30pm | Informal salon-style discussion with Georgia Straight film critic Mark Harris and Presentation House Gallery's Curator Bill Jeffries on the subject of Warhol’s early cinema. 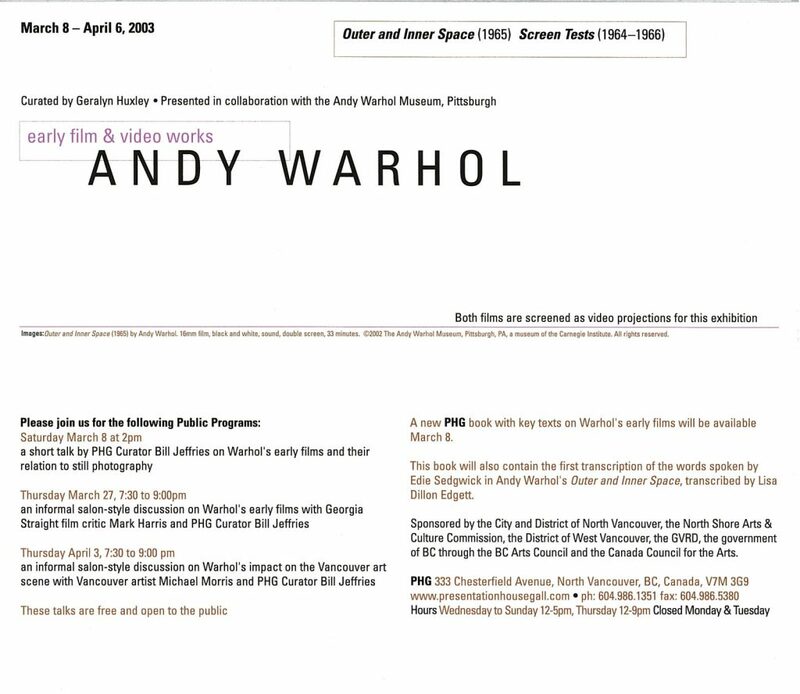 Thursday April 3, 7:30pm | Informal salon-style discussion with Western Front founder Michael Morris and Presentation House Gallery's Curator Bill Jeffries on Warhol’s impact on the Vancouver art scene. Presentation House Gallery exhibited Outer and Inner Space, a double-screen projection that includes within it what is believed to be the first-ever video made by an artist. Screen Tests, of which we will show approximately twenty (out of 500 shot), are short, and very intimate, silent film portraits of people who passed through the Factory in the 1960s. The exhibition catalogue From Stills to Motion and Back Again, contains texts by Callie Angell from the Whitney Museum, J.Hoberman from the Village Voice, Geralyn Huxley Curator of Film & Video at the Warhol Museum in Pittsburgh, and curator Bill Jeffries. 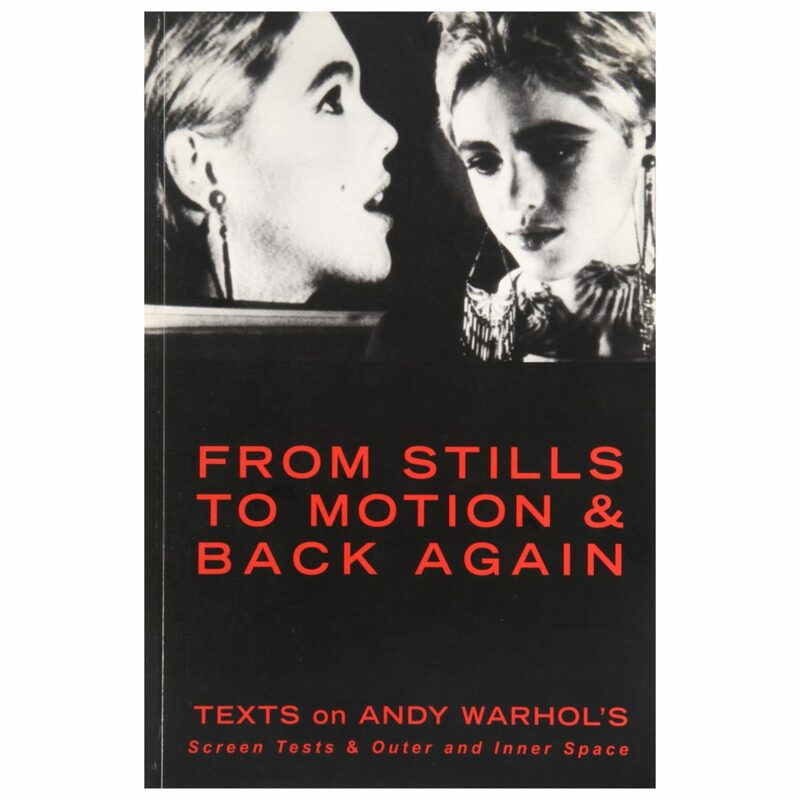 This book also contains the first transcription of the words spoken by Edie Sedgwick in Warhol's Outer and Inner Space, transcribed by Lisa Dillon Edgett.